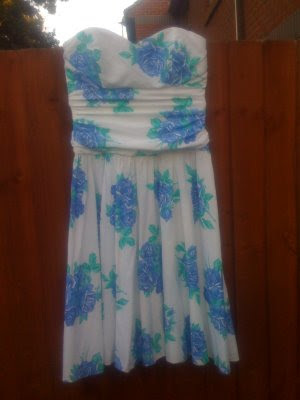 Its odds on you have at least one floral vintage summer dress in your wardrobe, dig it out as it will be a winner for this summer! I LOVE this trend. Can't wait to go back to your side of the world so that I'm not a season behind with the trends and fashion. 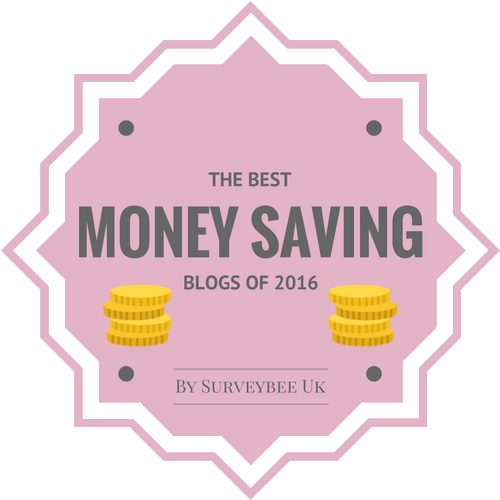 Hi lenya-thanks my dear, one of my all round favouriote trends too. Hi LaMimi-thanks for your lovely comment! You look very pretty in all your rosey dresses - I've got a few I wear right now. 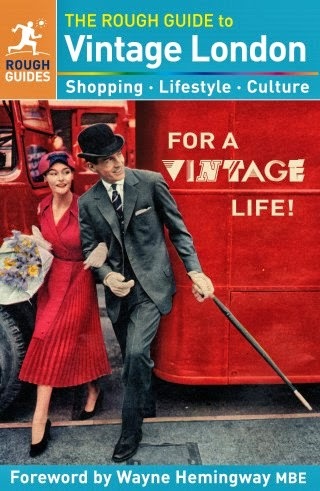 It's funny the way the seasons (fashion) are all mixed up for us now - we get some trends before you, which is weird! I've never been a big fan of floral prints... Maybe this Summer will persuade me? I do love your M&S dress though! Aw I abolutely love summer clothes and floral prints are just the epitome of why I love them. You've got me all excited for the weather turning warmer! Your look is very pretty. I love all of them floral dress version, but especially: See by Chloé. It's cut is fantastic. I wait for the summer weather very much already. Oh good I have a rose pattered skirt I'll wear it to death! For a moment I thought you were outside in the cold sporting a summer dress!! honey love that first dress on you! you look gorgeous.also the radley strapless one is a beauty! im really liking the topshop body con dress. Awesome! 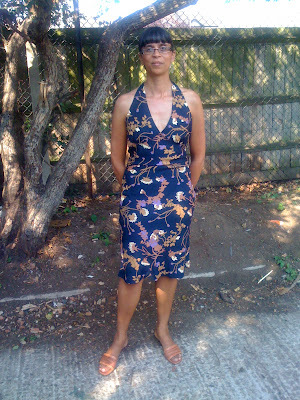 My wonderful mum made me a dress for Hanukkah, and is contemplating another - both are florals. Lucky you to be so stocked up already. 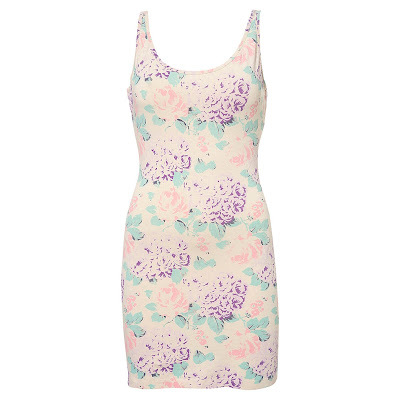 You and Topshop have so many fab floral frocks! Love the first one most - you look great! i love all of these dresses on you...my fav is the last one, so cute! One of my favorite trends! Love all your dresses, you look amazing as always. Cant wait to use all my dresses again! You know I love floral prints, and the ones you picked are so amazing. Oh no i'm not supposed to be spending at all but these dresses are so lovely. I'll see if i can find one in a charity shop for like £3 - that would be so lucky! Your sundress (the second one) is so lovely! It looks so sunny and nice there! 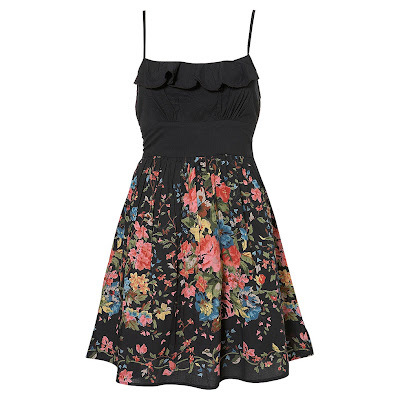 I really like florals but find them hard to pull off sometimes without looking prim -- the topshop versions seem do-able! Hi to everyone-Thanks so much for your lovely comments. LOL, thankfully I'm not braving the cold weather, these piccys are all from last summer.I'm pleased to hear a lot of you love this trend too! You look so good in those dresses. I like the first two that you're wearing best and the one in the last picture, the rose print one. By the way, did you buy that YSL lipstick? 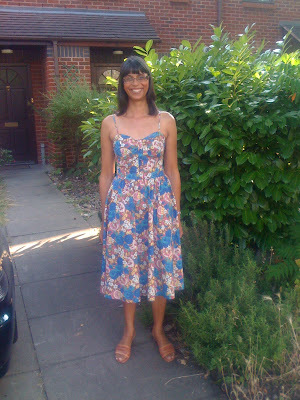 i love floral dresses for the summer! You look really good in florals!! I love the ones you've chosen too.. I LOVE that Topshop brown dress but the See by Chole fits you PERFECTLY! It must have been altered somehow to create such a perfect fit. 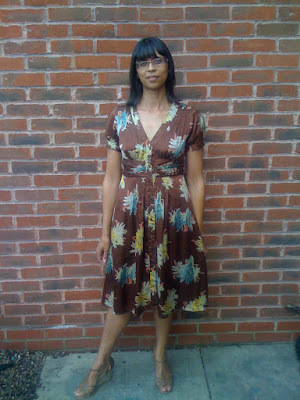 I love the Sea By Cloe dress on you. It's fabulous! i loveee flower print :) so dainty! Hi everyone-thanks for your lovely comments, always much appreciated! Hi Holly-thanks so much my dear! Great tea dress - very pretty!